My name is David and I live in The Netherlands. 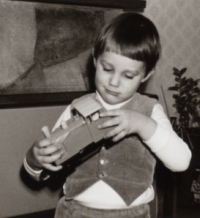 As a young boy I got a Big Big Train locomotive as a Birthday present. What was just a nice toy then made me very curious some 40 years later when it showed up again while my parents cleaned out their attic. That started a search for information about this locomotive and resulted in gathering an extensive collection of what appeared to be the Rovex Triang Big Big Train model range. This model range is very collectable. The item range is limited and no new items are being produced any more. One can say at some point that the collection is complete. Because the Big Big Train models came in a variety of colours it is very tempting to collect all these possible colour varieties though. I try to withstand this temptation. Besides Big Big Train I am also a model train enthusiast in general. I enjoy having HO-scale and O-scale trains, mostly epoch III German models. Also FALLER E-Train and Lima, Rivarossi and Pola Maxi O-gauge trains make me smile.